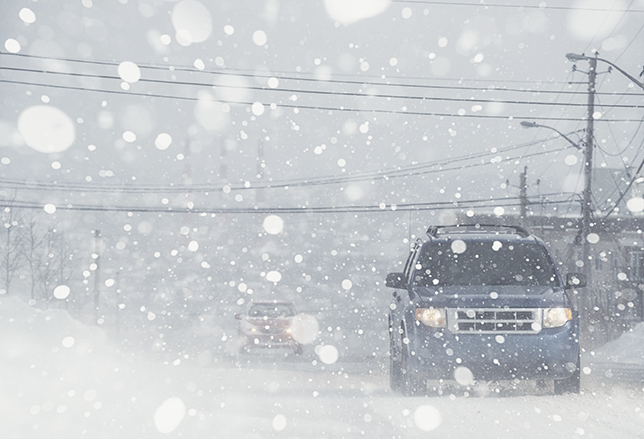 It’s not a marketing ploy – winter tires really do help keep you safe. Here’s why you need them. Be ready when Old Man Winter comes knocking. It takes more than skill & technique to conquer the worst that winter can dish out. Be prepared this winter and know if you’re driving on the right tires. See a craggy, three-peaked mountain and a snowflake on your tire sidewall? Here’s what it means. Does my 4x4 need winter tires? Even if you have four-wheel or all-wheel drive, you still need winter tires for the best grip and performance. Do you need studded winter tires? The dos and don’ts on studded winter tires. How to know when you need them. What’s your best bet for wintertime traction? We have the answers. Wondering if it's OK to use all-season tires in snow? How about winter tires in the summer? Tire buying experience was excellent. Tires and related items were as advertised. Installation was simple - schedule time, arrive at location, tires installed, transaction complete. Very Easy!! !